These TICA Cetus GV800 reels come with more line capacity than the (smaller) 500’s but actually weigh-in at a few grams less. If you’re looking for a reliable budget-level reel don’t pass up this deal on these popular ice fishing reels. 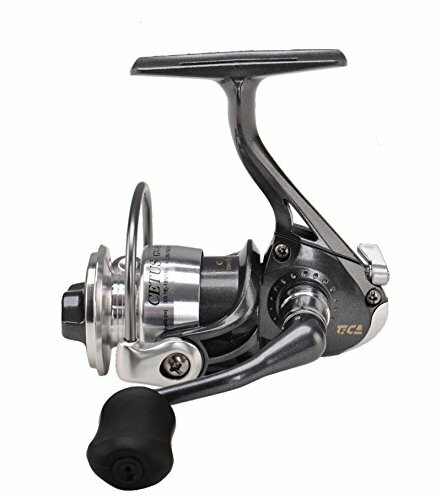 Own and use a TICA Cetus Reel? Take advantage of these Ice Fishing Deals? Give us your two-cents in the comments below. Posted on December 6, 2018 by IFDPosted in All Deals, Rods, Reels, & Tip UpsTagged Amazon, amazon fishing, amazon fishing deals, amazon fishing sale, amazon ice fishing, amazon ice fishing deals, amazon ice fishing sale, cetus, lf 500, LF500, tica, tica cetus, tica cetus lf500, tica ice reel, tica lf500, tica lf500 cetus, tica reel.